Cashbook in China to expand operations further in Asia. In November, Cashbook went to the Far East to visit customers and to attend meetings in China. 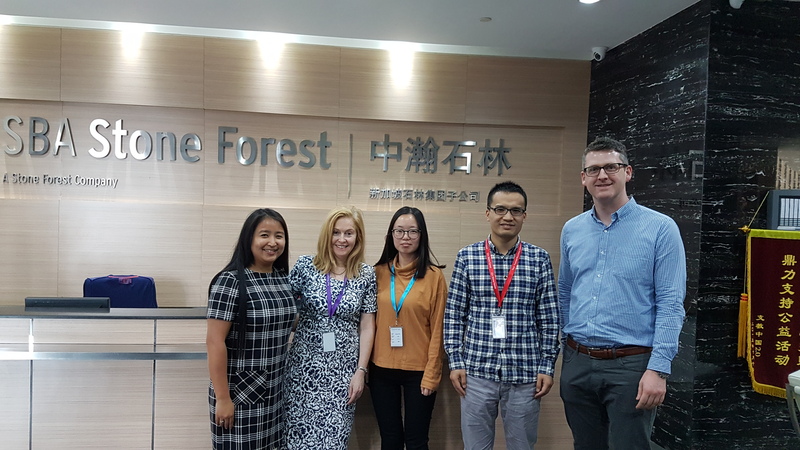 Michael Twomey and Jing Cai from Cashbook met some of our long-standing customers to see how they are using Cashbook in China. The trip was also arranged to meet companies who are helping Cashbook to further expand our operations in China. Michael and Jing flew direct to Shanghai for these meetings. 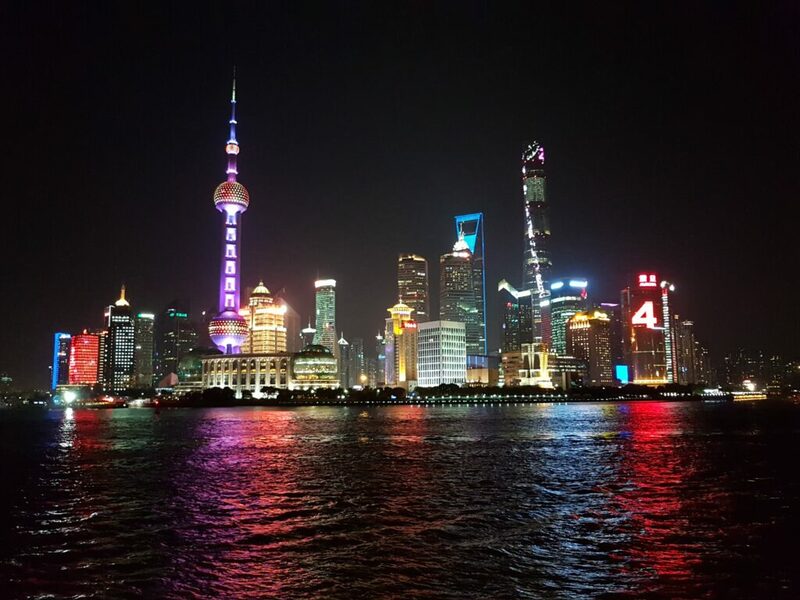 Shanghai, on the East coast of China, is the biggest city and has one of the largest financial hubs in the world. It has a population of almost 25 million people and has one of the most futuristic looking skylines in the world. China’s economy has developed immensely over the last two decades, a lot of this development has been since they joined the World Trade Organization (WTO) in the early 2000’s. China has slowly moved from a socialist economy to a market economy. A lot of business is being done by foreign companies that have set up operations in China, and also externally with the huge worldwide export volumes. China’s significant influence on the global economy increases more and more each year. China also had to change its accounting practices over the last two decades. It has moved a lot closer to the globally accepted standards of accounting. The old system was the Chinese Accounting standards (CAS), they have now been replaced with the International Financial Reporting Standards (IFRS). The IFRS has helped China to replicate the main accounting and reporting procedures that are practiced globally. With the economic development and standardization of accounting practices, banks in China also underwent a transformation. Chinese banks are now operating more like their western counterparts. The four big banks in China are all state owned: Bank of China, China Construction Bank, Industrial and Commercial Bank of China and the Agricultural Bank of China. These four banks are among the top 10 biggest banks in the world. All of the other big western banks also operate in China: Bank of America, HSBC, Citibank, and JPMorgan Chase. Michael Twomey and Jing Cai are pictured visiting Rita Boyle, Joshua Ma, and Cassie Zhou at SBA Stone Forest in China. In China, as in many other international countries, there is a great need for cash management software. The main ERP system in China is called Kingdee, over half of the top 100 Chinese companies rated by Fortune are using Kingdee. Companies in China tend to have a lot of outlets, customers, vendors, banks and bank accounts. Payments are made by cash, cards (debit and credit), both online and in-store. Chinese people also frequently use ‘WeChat Pay’ for in-store payments. WeChat is an app similar to WhatsApp but it allows payments and transfer of money, WeChat is hugely popular in China. Cashbook offer three main cash automation software solutions in China. Cash Application automation – Cashbook automatically reads bank files directly, it can then automate your invoices with auto-matching. This reduces the amount of time spent on manually processing bank statements and files. This integration allows huge time savings and brings greater efficiency. Bank Reconciliation automation – this allows bank statement uploads, thereby eliminating the need for labour-intensive manual entries. These uploaded bank statements are auto-matched against transactions in the general ledger of your ERP. Bank Reconciliation automation transforms your month-end into a daily reconciliation. Accounts Payable automation – allows you to pay all invoices in your ERP system. Cashbook will automatically create the required banking files to facilitate the payments. This allows for one single payment platform, which can be used across multiple locations, banks, and currencies. Resulting in massive savings of resources. When a company has its financial processes automated it results in massive savings of resources compared to a manual process. Cashflow is the life blood of any business and having it consistent and on time facilitates a successful business. Automating the repetitive, boring and time-consuming financial processes are a huge benefit to any company. Finance staff are much happier and it affords them more time to focus on other key functions. Cashbook are really looking forward to further expanding our customer base in China. We are ready to bring our proven, industry leading cash automation software solutions to more companies in Asia. If you are interested in discovering more about our cash automation software, you can contact our team for a free discovery call. Learn more on how we can transform your company through automation. Get your cashflow operating at a consistent level through the whole year. Trusted, tailored software from cashflow specialists.